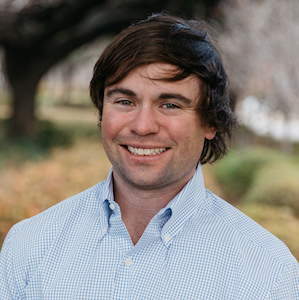 With over a decade of award-winning experience in the Dallas real estate market, Sam Sawyer's friendly personality, dedicated work ethic, and honest opinions keep his clients coming back and referring him to their friends and family. In 2016, he was honored to be named to the National Association of Realtor's "30 Under 30" list alongside some of the top rising stars in the nation. He is also consistently recognized as one of D Magazine's "Best Realtors in Dallas" as a top producing agent in the city. Sam's extensive connections in the Dallas area and consultative, no-pressure approach provide his clients with the peace of mind that they're being well represented at every stage of the buying and selling process. He recognizes the increasing impact that technology has on the real estate industry and leverages the latest technological innovations in order to give his clients the inside track to finding their dream home. A native of Memphis, Tennessee, Sam grew up surrounded by a family of entrepreneurs from the automotive and real estate industries. He has always been a self-starter, running various businesses throughout his childhood years and into high school before leaving to attend Southern Methodist University in Dallas. Sam started his real estate career at 19-years-old by helping friends and classmates find apartments and housing around the SMU campus. Word quickly spread about Sam's work ethic and commitment to finding the ideal fit for his clients. This early start in the industry helped Sam lay a solid foundation on which he has continued to build and expand his business every year. Outside of the office, Sam loves to spend as much time as possible exercising outdoors and exploring all of the city's up-and-coming urban areas. He looks forward to continuing to see this development bring Dallas onto the world's stage as it matures into a thriving metropolitan area.